Another 10 Year Anniversary Instagram Giveaway! Time for another anniversary giveaway! For those new to us - we're celebrating 10 years online with our blog and to say thank you to all our readers we're having a summer of giveaways on random days each week over on Instagram! 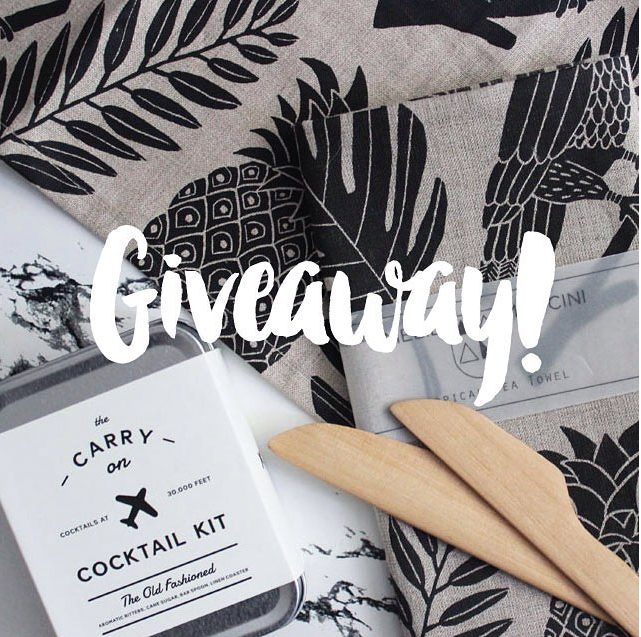 This week we've got an Amelie Mancini Tropical Linen Tea Towel and Landon Dix Hand-carved wooden Pate Knives (from our now retired store) along with a fun Carry On Cocktail Kit from Carry On Cocktail Kit up for grabs! To enter - Simply leave a comment on our IG post and if you follow us there, enter twice! Click here for the link! Congrats on 10 years! Great giveaway. Love their site, especially when the sleeves are removed. Nice touch. Gin & Tonic all the way, cheers!